Who is it for? 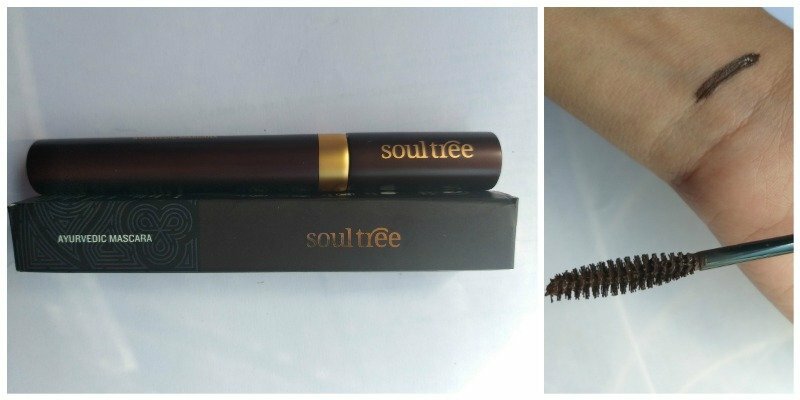 Soultree Ayurvedic Mascara Soft Brown is for all those who want an ayurvedic product free from any parabens and lead that gives your lashes a natural look. Apply on both upper and lower lash. Leave it to dry for 3-4 minutes. Apply twice for a bolder look. The packaging of this mascara is stunning. It comes in a matte brown tube with the name of the product on it. The packaging is like any high-end product. The mascara is brown in color and looks beautiful on your lashes. The texture is like any other mascara. This does not have any added fragrance, it smells like watercolors to me, but you can smell it only if you put your nose really close to the tube. First of all, this is an ayurvedic mascara which is a vegetarian product and absolutely free from parabens, petroleum and leads so this will not you’re your lashes in any way. This mascara gives your lashes a very natural look. It adds brown color to your lashes which looks really beautiful. It does not add any volume to the lashes but definitely separates them making them prettier. It does not make your lashes clumpy at all even if you apply two coats of it. Also, it did not make my lashes hard but they actually felt soft. Overall I loved this mascara. Free from petroleum, paraben, and lead. Does not make our lashes clumpy. Gives a very natural look to your lashes. Does not harden your lashes at all. This mascara is worth the price, I absolutely loved it. You should definitely add this to your makeup bag.